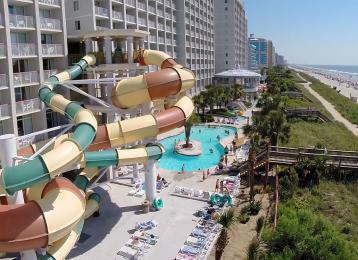 Crown Reef Beach Resort & Waterpark: Spring Waterpark Deal + Save 33%! Save up to 33% off accommodations with our exclusive package and receive unlimited use of the Crown Reef Waterpark, one day of breakfast for two adults & up to two kids, two $10 Game Cards, souvenir Kid’s Cup with FREE soda refills during your visit and more! Call 877-686-4294 for more info!